Share the post "Ten Commandments For Young Ukrainian Girls"
Vasil Hulak is a Ukrainian amateur painter of the early 20th century, the author of more than 350 postcards. 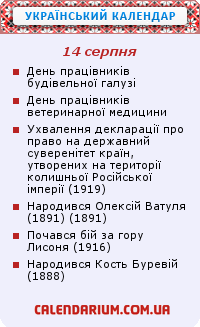 His works promoted the Ukrainian culture, and richness of the Ukrainian language. There is no specific information about Vasil, neither his education nor his life. It is only known that Vasil Hulak worked with Kyiv newspapers “Kyiv Life” / “Kyivske Zhittya”, “Kyiv thought” / “Kyivs’ka Dumka”, a satirical magazine “Nail” / “Tsvyah.” The artist supported democratic ideas. During the revolution of 1905-1906 he created works, which were criticizing the ruling government. Vasil Hulak had sentimental works with Ukrainian landscapes, illustrations for poems, political and satirical paintings, but many of his illustrations were humorous and comical, more understandable to ordinary people. In this post we will share with you some of his humorous postcards about love and relationship. Postcards were first published in 1918. 1. Never kiss your fiance before the marriage, and if he tries then punch him in his face. 2. When you go to talk to your boyfriend, always look back to make sure your mom doesn’t catch you with a stick. 3. Always give a pumkin to the old and bad guy. Read here about Pumpkin tradition in Ukraine. 4. Be cheerful, nice and lively, but never make guys fight over you. 5. We don’t have the 5th commandment. 6. Don’t love only one guy, but love many. 7. Never love the Russian guy. 8. We don’t have the 8th commandment. 9. After the marriage, don’t “jump into buckwheat” (‘to jump into buckwheat’ means to commit adultery) otherwise you will get this from your husband. 10. After the marriage feed you husband very good, so he will be healthy, with a big face, and fat as a barrel with slyv’yanka (plums moonshine). There are only two postacrds found of the set “10 commandments for single“. Before the marriage, buy yourself an airplane, just in case if you need to run away from your wife after the marriage.